Developed By : Jetico Inc.
How do you securely email a group of files BCArchive for encrypted archive encrypts and compresses a group of filesfolders into a secure archive. BCArchive is very simple yet very secure - just specify a password when creating the archive. To access and extract the data use enter the correct password. Passwords are no longer needed if you have your recipients public key - just choose your recipients public key. BCArchive offers you the facility to create a self-extracting file. 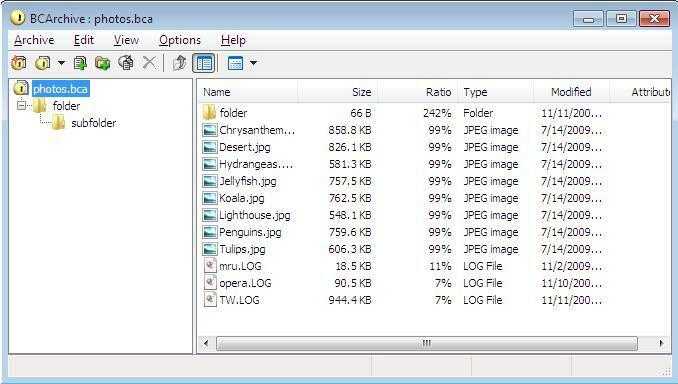 Data is compressed and encrypted into a single archive file which is converted to an executable program. At any time thereafter you or your recipient can run the program on any computer and extract the data without installing any special software. BCArchive utilizes symmetric algorithms (Rijndael (AES) Blowfish-256 Blowfish-448 IDEA CAST5 GOST 28147-89 Triple DES) and asymmetric algorithms meaning publicsecret key pair (RSA ElGamal Diffie-Hellman). Support for Windows 8 recoverable archives support of command line enhanced synchronization support of SHA-512 hash algorithm.